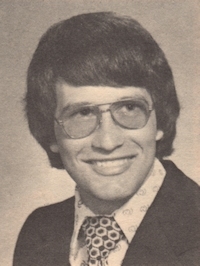 Obituary – Sadler, Stephen Arthur « Perry High School Alumni Association, Inc.
﻿Football 73-76, Track 73-76, Sr. Class Treas., Weightlifting 73-76, Who’s Who, FCA 73-76, Jock Club. Steve Sadler, 53, of Oklahoma City, Oklahoma, was the son of Ethridge Eugene and June Maxine Brown Sadler. 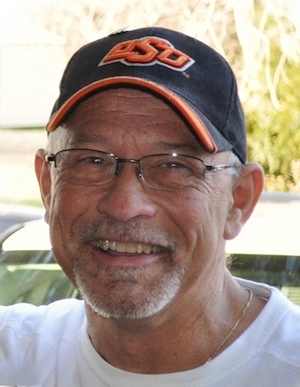 He was born on October 1, 1958 in Stillwater, Oklahoma and died Wednesday, March 28, 2012 at Select Specialty Hospital in Oklahoma City, Oklahoma. On July 27, 1979, Steve married Vicky Cook in Perry, Oklahoma. He enjoyed bowling, golf, the Oklahoma State Cowboys, traveling and especially enjoyed music and spending time with his beloved dog Max. Steve will be remembered as a loving husband, father, son, and brother by his family and friends. Funeral services will be 2:00 p.m. Saturday, March 31, 2012 at the Assembly of God Church in Perry, Oklahoma. Pastor Brett Nation will officiate. Interment will be in Grace Hill Cemetery. Services are under the direction of BrownDugger Funeral Home in Perry. The family will receive friends from 6:00 to 8:00 p.m. Friday, March 30, 2012 at BrownDugger Funeral Home. Memorial contributions may be made to the American Diabetes Association in care of BrownDugger Funeral Home, 1010 N. 7th Street, Perry, Oklahoma 73077. Steve is survived by his wife, Vicky Sadler one son, Dustin Paul Sadler, both of the home his mother, June Maxine Sadler of Perry, Oklahoma and two brothers, Philip Eugene Sadler and David Lee Sadler, both of Perry, Oklahoma.